Building Highlights: ﻿﻿﻿﻿The Penthouse at 1000 Beach Avenue was created in 2006 by award Winning designer Omer Arbel. Nevever before has such a distinguished residence been offered within this area. 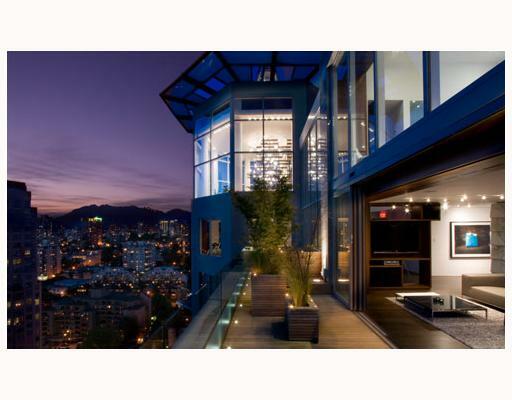 Boasting 7500 sq ft on 2 levels with 35 ft ceilings and disappearing walls of glass that create a dramatic interplay between interior and exterior spaces as well as the 360 degree views of the city, ocean and mountains. A perfect compliment to the setting the captivating and dramatic design is an impeccable merged composition of the finest materials, open spaces and light. Many features include: full concierge, private elevator access, separate maids suite, private parking and full integrated lighting, electronic and music.